How do we select songs for all seasons? Editor’s note: Martin Luther famously said, “Next to the Word of God, music deserves the highest praise” (Luther’s Works, Vol. 53). The ELCA still holds tightly to Luther’s understanding. In this six-part series, we’re exploring Lutheran music throughout history, the importance of music to the Lutheran faith and how that tradition continues today across styles and expressions. 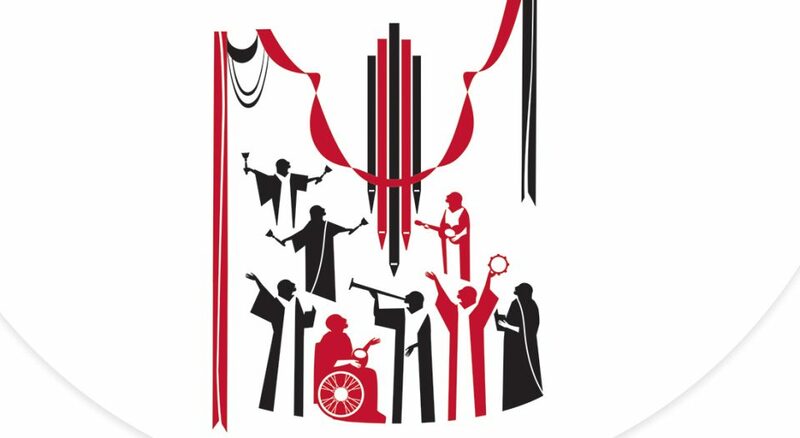 Hymn singing is one of the oldest expressions of faith we have in the Lutheran church. While hymns have been around longer than Lutherans, they found functionality as vehicles of theology with the advent of congregational singing in the time of Martin Luther. Many, if not most, ELCA churches have a yearning for robust assembly song, and it falls to pastors and church musicians (and, sometimes, lay leaders) to decide what will be sung from one worship service to the next. With such a wealth of hymnody, the question of how we open the Scriptures to the assembly through the hymns we choose looms large for many congregations. “Choosing hymns for each liturgy is an art and involves creativity and discernment. While being faithful to the lectionary, try to balance familiar and accessible hymns and songs with occasional new texts and tunes, expanding the assembly’s repertoire,” said Craig Mueller, a pastor of Holy Trinity Lutheran Church, Chicago. Hymns are formational. There are hymns that hold deep meaning for many of us, regardless of theological accuracy or how musically well-written they are. What we sing changes us, through both text and the music—especially when they are married well. What is offered as assembly song must reflect God and God’s work through Jesus Christ. What we choose matters. With this framework in mind, start by reading the lectionary. While it can be read Sunday by Sunday, try reading by liturgical season (i.e., the four Sundays of Advent). This method helps worship planners see the whole picture, avoiding picking a seasonal hymn that they end up wishing they could have used the next week because it was more “on point.” (The same process works if a sermon series is being used.) Early on, collaboration is a necessity: conversation with the preacher can clarify the sermon theme as it relates to the readings each week, helping to identify an appropriate hymn response. What is offered as assembly song must reflect God and God’s work through Jesus Christ. What we choose matters. The liturgical action must also be considered: are sacraments being celebrated? Perhaps there is a church anniversary or a crisis in the community or world. What hymns are to be sung in response? While substituting hymns in at the last minute is not optimal (and should be done only with great care), events can dictate change when appropriate and needed in the community. What is sung matters, but when it is sung does also. A service’s gathering hymn is the perfect time to draw the assembly together through song. Choosing a hymn unfamiliar to the assembly may only frustrate people, rather than gathering them into one voice. Instead, save new hymns for times when the congregation has settled in and the assembly is ready to listen to something unfamiliar. “Often I’ll plan out one particular hymn that may be a bit of a stretch first, and put others around it to help the people feel like they’re set up for success,” said Adam Lefever Hughes, director of music at St. Peter Evangelical Lutheran Church, Lancaster, Pa. To make new hymns easier to digest, use an introduction that is steady and clear; have the choir or soloist sing a stanza; and don’t be afraid to repeat a hymn during a season, as long as it is pertinent thematically. May we select hymns that help the assembly be the primary voice, worshiping God, who has given the gifts of word and song. Soli Deo gloria! Glory to God alone! Next: In March, the final entry in this series will look at the many and varied ways congregations live out their ministry through music programs. Julie Grindle is president of the Association of Lutheran Church Musicians and music director of St. Mark Lutheran Church, Baldwinsville, N.Y.